Jamie Barlow dropped his bottom rig in 85 fathoms outside the North Shore of Oahu and was soon hooked to two large butaguchi ulua. One of the fish came off, but the second was a massive 46-pounder. Jamie caught his state record while using a Shimano reel mated to an Elec-Tra-Mate, 200-lb test line and ika for bait. 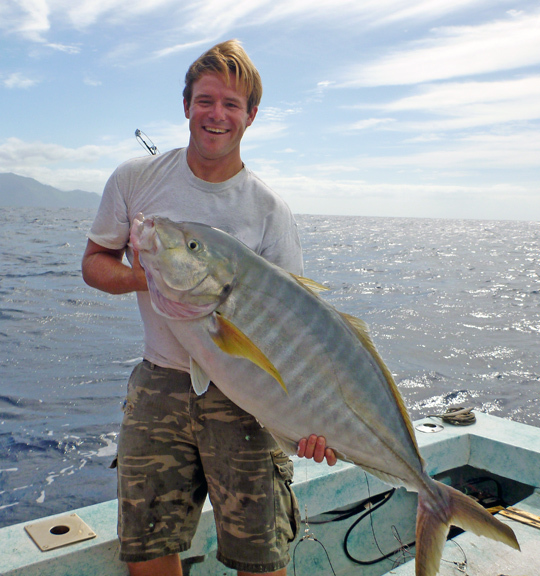 Jamie's fish broke a record that stood for 13 years, a 40-lb butaguchi caught by Greg Holzman.